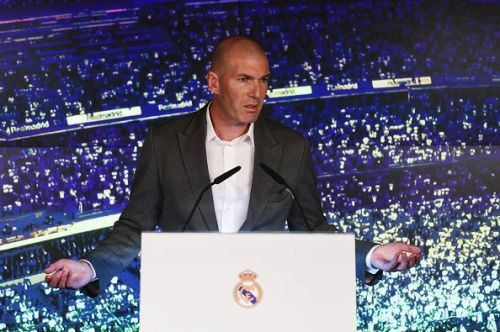 Zinedine Zidane is back at the Santigo Bernabeu and for the second time in his short managerial career, the Frenchman has to rebuild the club and bring back the glory days. The World Cup winner was announced as the manager on Monday as he replaced Santiago Solari. Real Madrid lost four home games in a row - two at the hands of their arch-rivals, FC Barcelona, which ultimately ended Solari's reign. Zidane's arrival is almost certain to bring some cheers at the club but he has a big job on his hands. Real Madrid squad is aging and Zidane certainly needs some fresh legs to strengthen the squad. Also, according to reports, Florentino Perez has promised an expensive overhaul, estimated to be around £300 million. On that note, let's take a look at the 4 transfer targets Zidane will need in the summer to win with Madrid again. The 19-year-old Ajax defender is one of the most wanted defenders in Europen football at the moment. Though Madrid would be tempted to sign an experienced defender in van Dijk or Koulibaly, Matthijs de Ligt would be a cost-effective option, given their interests in some high profile attacking targets. Matthijs de Ligt was Ajax's stand out performer in the 2017 Europa League final against Manchester United when he was only 17. The Dutch international is good physically and technically. He is one of the best passers, who likes to keep things simple at the back. He also has good tactical and positional awareness. He was one of the key players in their win over Real Madrid in the 2018/19 UEFA Champions League round of 16 ties. Ramos is not getting any younger and Real Madrid need a defensive linchpin.